Program Goal 1: Students/graduates will demonstrate clinical competency skills of an entry-level radiation therapist. Credentialing examination pass rate is defined as the number of student graduates who pass, on first attempt, the American Registry of Radiologic Technologists (ARRT) certification examination or an unrestricted state licensing examination compared with the number of graduates who take the examination within six months of graduation. 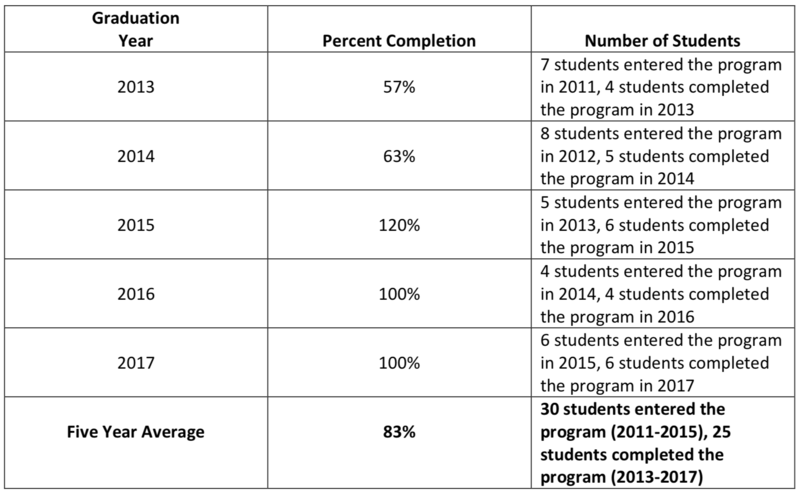 Program completion rate is defined as the number of students who complete the program within 150% (3 years) of the stated program length. 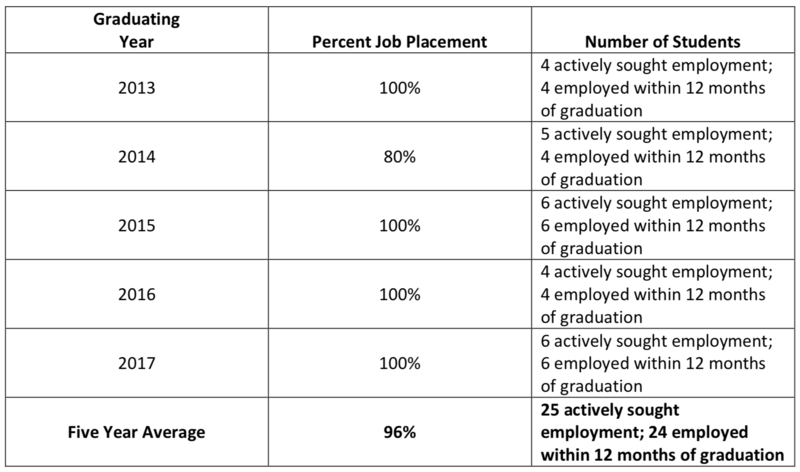 Job placement rate is defined as the number of graduates employed in the discipline (i.e., radiologic sciences, radiation therapy, magnetic resonance, or medical dosimetry) compared to the number of graduates actively seeking employment in the discipline.